A “click farm” is where fake ratings and rankings for mobile apps and social media posts are manipulated. Here’s a look inside. This footage was recently uploaded by Russian site English Russia. At that time, Tech in Asia reported that China media surmised that the image showed a woman manipulating App Store rankings by downloading, installing, and then uninstalling apps over and over again to bump up its rankings. This certainly wouldn’t be unheard of, because Tech in Asia also reports that on popular Chinese e-commerce sites, there are ads for “App Store ranking manipulation” services. 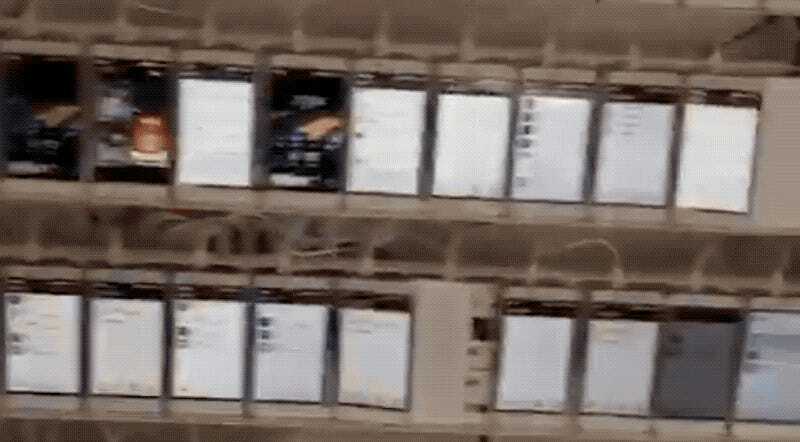 Below are more photos that apparently show inside these click farms from iFeng, Tech Web, CZong News Info, Weibo and Duowan. Tech In Asia explained that Apple is trying to prevent PC-based iPhone emulators, so the only way to get around that is manual labor.